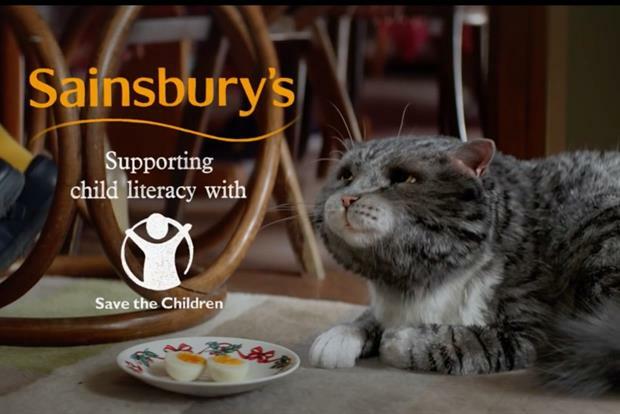 Sainsbury’s attributed a better-than-expected performance to its ‘Mog the cat’ Christmas ad, with like-for-like sales falling just 0.4% in its third quarter and total sales excluding fuel up 0.8%. The supermarket, which is in the midst of a bid for Argos- and Homebase-owner Home Retail Group, said that its sales performance for the 15 weeks ending 9 January was also helped by the opening of 16 convenience stores. The company said that it generated more than 30m customer transactions in the seven days before Christmas, up 2.6% compared with last year. Sainsbury’s performance beat analyst expectations, whose consensus was that like-for-like sales would be down 0.7%. Commenting on its Christmas advertising campaign, the company said: "Our Christmas advertising campaign 'Mog’s Christmas Calamity' was a huge success, with nearly 37 million online views and the exclusive 'Mog’s Christmas Calamity' book topping the UK bestselling book charts for four consecutive weeks." Alton Towers is investing millions of pounds into a virtual reality (VR) ride that will see passengers wear Oculus Rift-style headsets as they negotiate the twists, turns and plummets of an actual rollercoaster. Dubbed the Galactica, the three-minute ride will open in April and will take visitors to the theme park on a 'journey' through different galaxies. Passengers will lie face-down and experience G-forces of 3.5g - greater than those experienced by astronauts during rocket launches. The announcement marks the first new ride since the theme park seriously injured five people on a rollercoaster in June, when it blamed the accident on "human error". Visitor numbers have fallen since the incident, while the company said that 190 jobs remained at risk and that it would close on several mid-week "quieter days" this year. Gill Riley, Alton Towers’ marketing director, said that the Galactica was a "multi-million pound investment". She added: "Obviously the safety and welfare of our guests is our number one priority. "Following the incident last year, we immediately put into effect additional safety protocols on our multi-car rollercoasters, of which this is one."